Bridget, the elderly lioness who made international headlines because of her mysterious mane, has died. Bridget, the elderly lioness who baffled her caretakers when she spontaneously grew a lion's mane last year, has died. The 18-year-old creature was euthanized on Wednesday evening after veterinary teams discovered excess fluid around her heart indicating heart failure or infection, the Oklahoma City Zoo said in a statement. "Bridget recently became a global sensation when a story about her 'mini-mane' went viral," the zoo said. "She will be greatly missed." Bridget grew her mane — a feature usually reserved only for male lions — between March and November of 2017. 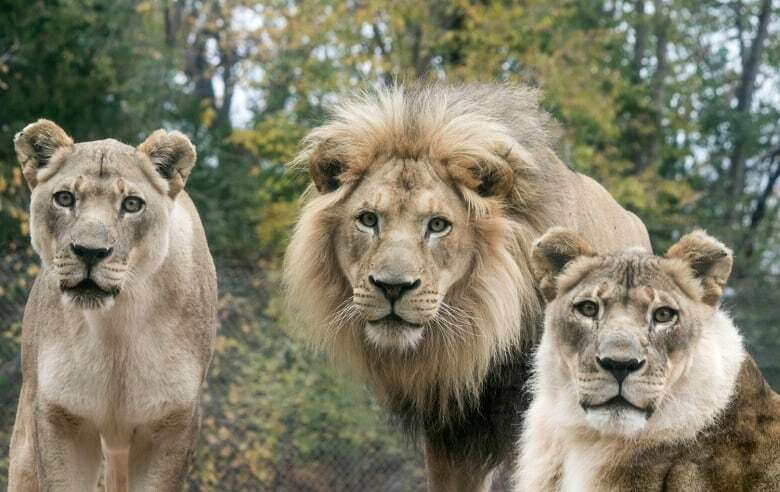 As It Happens spoke with the zoo's director of veterinary medicine, Jennifer D'Agostino, in March about the mystery mane. "[She] doesn't even seem to be bothered she has a little bit of extra hair around her chin and her neck area," D'Agostino said at the time. "I think this is just sort of an incidental finding and something that makes her look a little bit different." 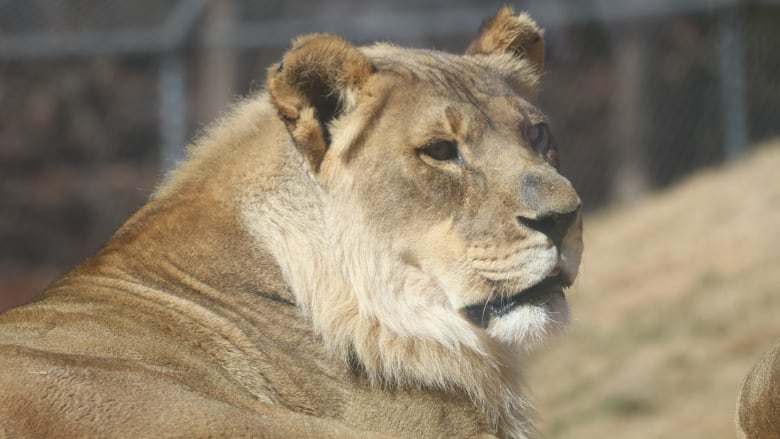 The zoo later discovered the source of the mane — elevated levels of hormones from what was believed to be a benign tumour in one of her adrenal glands. Despite the tumour, Bridget appeared to be in good health for her age. But on Tuesday, her caretakers "noticed significant changes in Bridget's behaviour," the zoo said. "She was lethargic and showed no interest in eating or training. 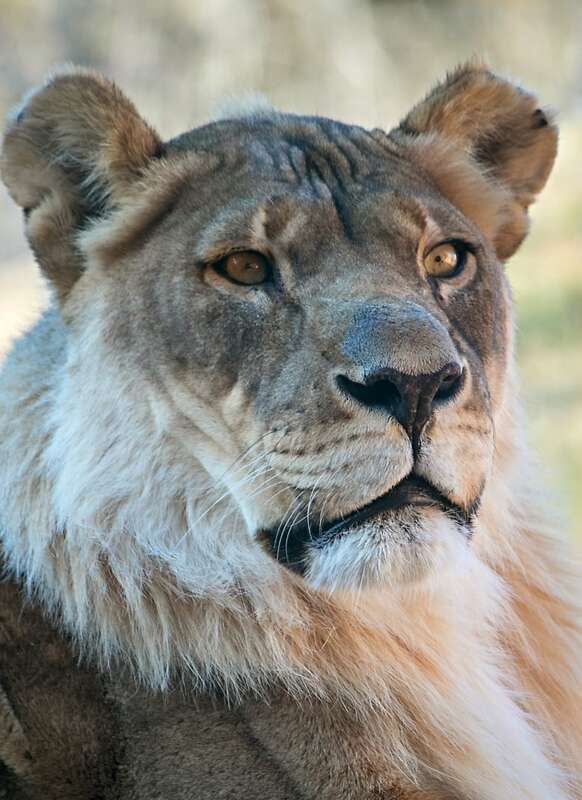 The next day vet and caretaker teams observed that Bridget appeared to be in pain resulting in the decision to perform an emergency examination." That's when veterinarians discovered the fluid buildup around Bridget's heart. "Given her advanced age and the severity of her condition, the vet and caretaker teams made the difficult decision to humanely euthanize Bridget," the zoo said. 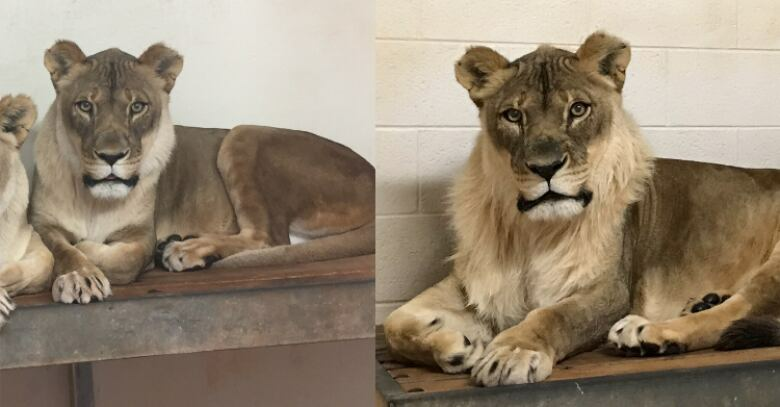 Bridget's fans have taken to social media to mourn the bearded lioness, many sharing stories about visiting her at the zoo with their families. Bridget was always a wonder. She was a beauty to see. She will be missed. I'm sorry to all the Zoo staff that had to see this. "She was so beautiful and I know she will be missed by everyone there," one of Bridget's fans wrote on Facebook. "My condolences to her keepers and zoo staff members as well as the members of her family that will miss her too." Bridget leaves behind her pack mate Hubert, 6 and sister Tia, 18.